It's up. Get it here! Wanderlust Rue Boheme Bra (US). Surprisingly, these are available up to a 12. Wanderlust Shala Bra. These also came to a 12 in the US. I ordered the Feather print one to try. Canada got the Pretty Plume Wunder Under Crops. Ace Dot and Palm Stripe Roll Down Wunder Under Crops I ordered the Palm Stripe ones to try. Canada got a Dashing Purple Scuba. Love this. The US got the Pack It Vests. The US got Naval Blue Seamlessly Street Crops. The US got Pretty Plume High Times. The US got the Peacocock/Tranquil Blue Swiftly SS. Damn! The one week the upload is early. I got my Diversity bag, but missed out on the Pretty Plume High Times. Guess I'll have to look for them in store, or wait for the WUC version. 7:00 pm EST and the Pretty Plume High Times Pant are already sold out in all sizes except 10 and 12 on the US side. Ugh. Upload was early! I got the Winged Mosaic Diversity Bag. Will have to wait to enjoy it until I get back from vacation, but I'm glad to have ordered early. OMG, the Pedal To The Medal 7/8 Tight *Reflective......that has got to be a typo! $168?!?! Why??? Got the Plume High Times, kimono in the feather print, white Nook tank (have the gray one already), and went back for the towel in the feather print, too. Really wish they would have released some bottoms online in the prints besides the Highest Times. First order in over a year. Got two colors of the Shala bra. I knew it as the Seek the Heat I think from several years ago...one of my favorite looks/fits of all time. I got the Diversity bag. Yay! So cute. I got the Wanderlust Highest Times the other day, am curious if I will like them. Nothing for me. I thought I would order something Wanderust today like the bra or Diversity bag, or even some pretty plume items, but I just went "nah". Really do not need anything as pretty as some of the items are and I've been curbing my LLL spending for sometime now. I'm more pleased with the fact that I really don't care! Canada had the pretty plume high times as well but they are gone now....I hope mine ship! Not into the Wanderlust stuff or pretty plume. I am typically drawn to prints and I have been consciously going for more solid prints so I don't get sick of them as easily. I will look for the SE WAFS WUC and anything Bali Breeze while I am in Canada next week. With the strong dollar, I will be happy to get 30% discount on my lulu purchases. Missed out on the Pretty Plume High Times... Hoping they will hit the stores this week or next. I went online at 6:42 and I ordered the diversity bag, high times in pretty plume and dance to yoga tank in pretty plume. I was fully expecting check out problems but I was surprised that everything went smoothly. I think my hubby thought I was crazy. You think he would be used to it by now. I abruptly left the dinner table and I went to my iPad in the living room. He asked me what I was doing and I told him that I needed to order some stuff from Lululemon before the items that I want sell out. Lol! I was hoping for the pretty plume WUPs or WUCs but we didn't get them. I scanned the upload more than once to be sure, though. :) I ordered the Diversity Bag in the mosaic print. I like the print and would have grabbed the HTs if they didn't have the mesh...or wouldn't a CRB in that print have been fun? 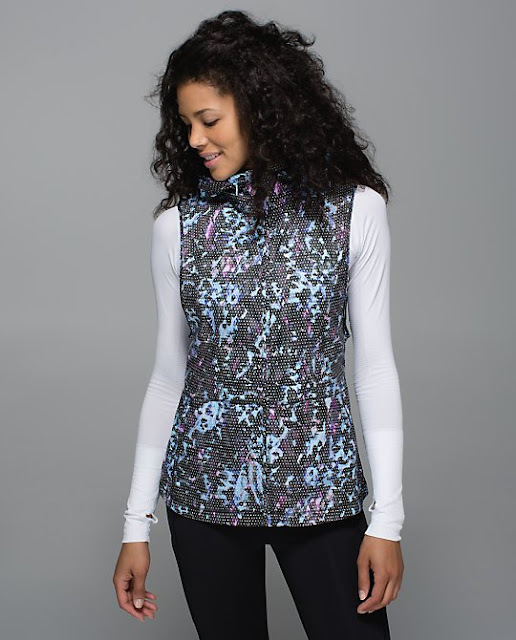 I have nothing to do with Sweaty Betty as a firm, I don't even live in a country they have shops in but I'm visiting the uS at them moment and am able to buy in their shops. I don't see the pretty plume HT? Did I miss them?? Bummer! I got the Diveraity Bag in the print. I couldn't decide if I should pull the trigger or not but thought I would rather get it and return it than not get it and kick myself later. Anyone have any thoughts about it if you're already picked one up?? If the U.S. upload had the pretty plume WU I probably would've gotten those. Wee are from space inspires are in stores now. If anyone sees these in their local Lulu (USA) please post so I can call and order!! This is one of those items I really really wanted..Boo..should have ordered from my phone while at the eye doctor with 2 of my 5 sons! Just the diversity bag in mosaic for me, so pretty! I wanted to buy the nook tank as well but unsure of the sizing, so I didn't. I won't able to return it because I'm forwarding the item to NZ! There's already a spreading rumor that Wanderlust stuff won't arrive here, even in our Wanderlust festival this summer! @ anon 6:32 pm - I think they sold out pretty quickly. Got both nook tanks, the pretty plume HT's and the wanderlust towel in feathers. (Love that print) Loved the Wanderlust high times in the print but don't think I can pull that one off. I still have my eye on the Angel Wing Scuba, its such a pretty cream colour but thought I would resist for now as I spent enough! Great upload, and surprisingly no website problems. Thank you LLL for curing me of my addiction. Your stuff is total crap. Wallet safe. Yes! Do we get the Wanderlust range outside U.S. OR Canada? I randomly checked the site at 3:15 and was stoked to see the early upload! 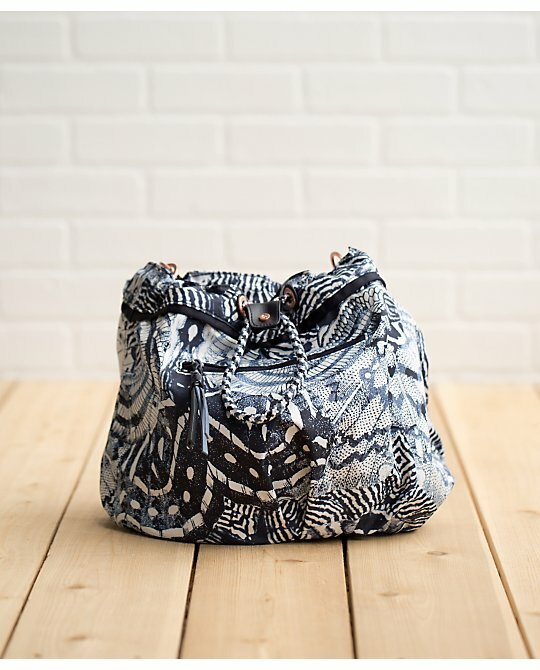 I ordered the winged mosaic Diversity bag and the iris Shala bra, which were my must-haves. I'm not sure about the bra--some say to go with TTS, others recommend sizing up. My Highest Times pants from the Sunday upload arrived today. I'll keep the Naval pair but am unsure about Iris. The Dashing Purple scuba uploaded to the US side a few weeks ago. It's so pretty but hard to justify when it is 95 degrees outside. I'm surprised that we've seen so many Scubas this summer. @stargazer - I don't know about that. I'm suspecting not but I am not sure. @Anon 5:44 - I noticed those, too! I think they're Speed Tights by the look of the back side. They're in a textured striped look, so we'll see if they're an August pattern. I like how they're finally bringing out LOTS of options in the flattering striped bum. I can probably stop buying every pair and returning them because I'm not in love with them. My CC is so confused! Huge purchases + Huge returns = ?$?$? @ Sophie 6:26 PM - Would you mind commenting on how you find the fit of the Dashing Purple Scuba Hoodie please? I purchased four or five new Scuba Hoodies end of last summer/fall season and the last one I ordered was the gorgeous Green Teal one and it was like a whole size smaller in width than the others I had previously purchased in the exact same size. Haven't ordered any new Scubas since then but absolutely love the new Dashing Purple Scuba and must have it :) I'm just hesitant about size, if I should stay with my regular size or order the next size up? Also, for those who have tried a size up, how much of a difference is it in fit, assuming the size is fitting like it should and not a wonky size like the Green Teal ones from last fall (it was a normal size 4(compared to the previous ones I had purchased)in length of body and sleeves but a whole size smaller in width! I exchanged for a 6 which was then the fit like a 4 in width and a 6 in length of body and arms!). Or did they change the fit at that time and now all the Scubas fitting this way?! Thanks in advance to Sophie and to anyone else who can comment on this. Uh... Anon 7:17, this was the best upload since early 2012. Read the comments, everyone's bummed they missed out on ___________. Black wee are from space inspires were in Chicago stores yesterday. I have the pace rivals also but picked these up as I like the all black trim on them. 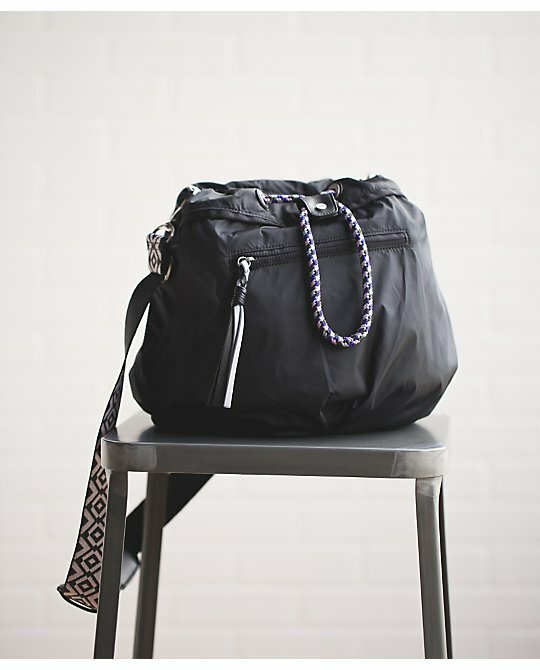 Does anyone know what stores in and around toronto have the wanderlust stuff? I am heartbroken that i didn't get the pretty plume high times :'( . First world problems! $168 pedal to the medal tights? Did I miss something? Was so happy to see an early upload today-- I had only an hour between flights-- the second taking off at 4:20 pacific. Was so happy to see the Casbah Kimono as the first flight landed. That was all for me this week. Can anyone weigh in on how the Towel works for hot yoga? I love the prints but can't deal with a slippery towel. TIA! Does anyone know what tee the model is wearing with the wee space slim jet crops? Does anyone know when the inner essence short sleeve tee Will be available online? @Anon 7:38 For me the dashing purple scuba is TTS. I have 4 scubas (heathered rainforest menthol, dashing purple, tranquil blue, and deep navy) all in size 6 and I think they all fit pretty consistently. So I'd say take your true size! U.S. Las Vegas Downtown Summerlin had all sizes tonight. Has anyone seen the wanderlust stuff (specifically the kimono) in Calgary yet? Thanks! Elle - I think the Toronto stores (Queen Street was the one scheduled to get it, i think) had it for about a day earlier this month... Our store here (Vancouver) sold out of most of the items the first day - the "stragglers" lasted 2-3 days. 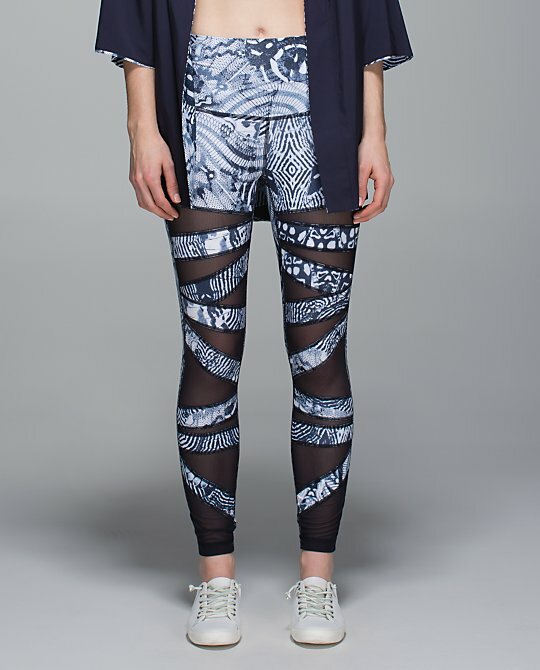 I got the casbah kimono in the winged mosaic print. I think the print is really interesting and beautiful. I may have just got it for fear of missing out, I'm hoping I love it. I should be saving cash for Seawheeze, but can somehow manage to justify these things if I find a piece I really love and wear all the time. I must be the rare one here who only went for Diversity bag in coal. There's something about the mosaic pattern that turns me off and I'm usually a navy blue lover. Re: those ridiculously priced tights. what's up with LLL changing $ after uploads recently?! I'm surprised there aren't more outrage about that picnic play dress price increase. I got one at $98 but it still irks me they'd do that. Elle - I stand corrected. lulumum has posted that Ontario and Quebec received Wanderlust today, and that they will do phone orders within Canada... Quick! Run. @stargazer At least I think Australia/NZ won't get it. But sometimes they change how things work. On facebook they said "lululemon athletica Australia and New Zealand Hey, the Wanderlust product released for the North American festivals will not be available at the Sunshine Coast / Lake Taupo dates. ~ Jordan"
Wanderlust Rue Boheme Bra - the straps below would be a nuisance, imo. It's not even that pretty. This was a good upload, and expensive! I got the winged mosaic Diversity Bag, painted feathers Shala Bra, both of the printed Wanderlust towels, Stripe Play WUP, dashing purple Inspire Tight and the black Inner Essence Tee. I have a feeling the Shala Bra is going to be too tight in my normal size 4 so I'm thinking of also ordering a 6 since they still seem to be in stock this morning. It's great that wanderlust stuff is online now but I do not find it appealing. The shala bra is very cute though and that is the only thing that would tempt me. My question is where are you ladies wearing the kimono's? I have yet to see a real life outfit where I said "that looks so cool" and fashion forward. Seems a bit Golden Girls to me but please educate me!! Got a pretty plume angel wing black/ angel wing high times pant for my friend who also ordered her own. I'm willing send it to someone who's still looking for it. It's size 4 please email tinawhite800 at hotmail. I wasn't even remotely tempted by anything in the upload. Maybe my Lulu love is a thing of the past as lots of people seem super excited about this upload. @ Anon 6:12 am - Calgary won't be getting the Wanderlust items as per their store educators. It sounds like only 'select' stores will get these items (Vancouver, Toronto, Montreal). @Anon 4:52 AM I think kimonos can be pulled off if they're styled right. I plan on wearing mine casually over skinny jeans, tights, or shorts, paired with a tank. A top knot bun in my hair and some strappy sandals. I'm thinking basically an otherwise boring outfit with a statement piece thrown in. I might also use it as a swimsuit cover up on the beach. The appeal to me is that it's unusual. I like clothes that I haven't seen before that are beautiful, I feel like I would definitely do a double take of someone wearing these kimonos. @anonymous @ 4:52 am - I was thinking of getting one to wear in the hospital after I deliver my twins. Not kidding - but even for that, it looks kind of problematic! I'm also curious about how people wear them. Wow you are right- I never noticed Angel Wing but it looks pretty. 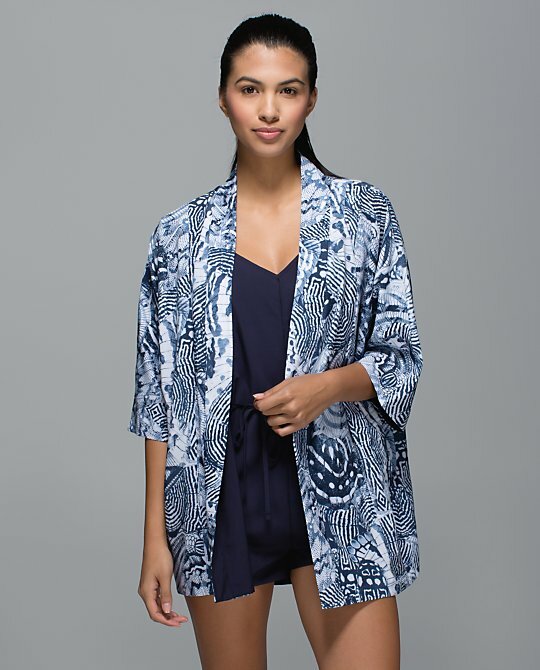 I have a kimono (not this exact one but extremely similar fit) and I wear it with high-waisted jean shorts and a crop top to balance out the extra fabric. You see them a lot in festival-inspired outfits (and at actual festivals too thats where I wore mine last!). They are also great for swim coverups. The Kimonos are pretty, but just not my kind of thing for wearing out and about, I don't think I could wear it out of the house without feeling like I'm wearing an actual kimono like you'd wear after a bath or shower or over a chemise nightie or lingerie, etc I guess I could see wearing it as a swimsuit cover up, but then I'd probably go for a different one than this. Thank you so much Jennifer! Called and scored 2 in the colors i wanted :) you are the best! stupid question: is wanderlust stuff final sale? :S I got couple sizes of the pants to try on and now I am worried I'd be stuck with them! I wonder if the new pretty plume WU's are sheer being that they have so much white on them? I was told by 3 stores that all wanderlust items (online and in stores) are final sale! I just bought one today with more dark at the top and they are not sheer. Just have to cherry pick the pattern. The material is really nice, feels like luxtreme eventhough it is luon. I ordered the Diversity Bag in coal because I need a smallish bag and LLL persists in not re-releasing the DTB Duffel. I'll admit I'm not that optimistic about it because it resembles the last smaller bucket bag they had and I didn't like that one (too small, not enough pockets, and bounced off my hip like a sausage when halfway full) but I can always return it. I tried on the pretty plume wuc in the store. I purposely choise a pair which have more darker color. The print is very pretty but it is sheer (when the white part stretched out) as I can see the tag behind. 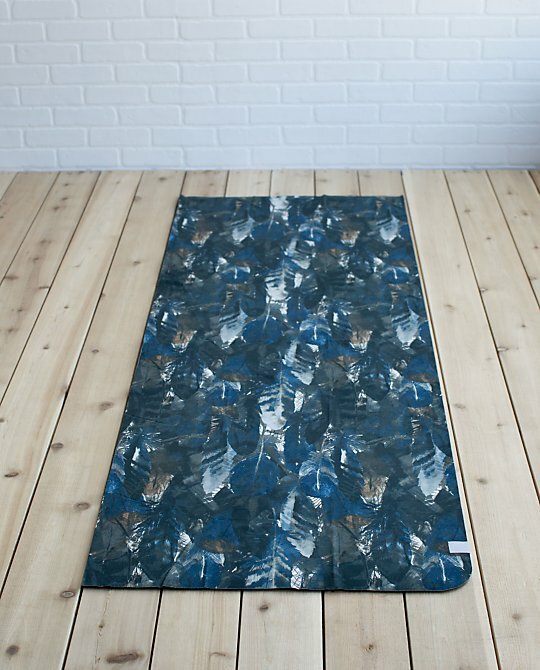 Sadly, I leave it in the store but I bought the dance to yoga tank in the same print as I just can't resist this beautiful print. And confirmed it is not sizing issue. @ anon 3:36 pm - there is nothing on my checkout order number for the Shala bra that says final sale. Wth! No one told me anything when i ordered mine and i didn't see anything online! Was this in Canada? Where did you see it online? Same here. I am going to be pissed if they don't take them back since it doesn't say anything on the website. I just saw a picture of the tag on another blog. Ok I just chatted with LL. They said it's not final sale! Phew! No final sale, just order the kimono .. When I bought things in-store one Ed said they were final sale, another didn't, receipt said nothing. Ordered the mosaic diversity bag & the dance to yoga skorts in black.. Saw tons of stuff in Ottawa @ the Westboro location! Kimonos, Nook Shirts, High Times.. and coal diversity bags (the printed one sold out in a couple of hours)! The Rideau location didn't get wanderlust stuff! I love the plume pattern, but you really have to cherry pick with how it falls on the garment. I hope they release a CRB in pretty plume.. or at least an other top without mesh inserts! What's with the mesh on every second item??? Wish they'd bring out more practice cotton and vitasea basics, instead of figuring out which areas of the pants and shirts they can replace with mesh. @Ola - I am hoping for a Pretty Plum CRB, too. I have seen pants with the dark part on the legs and a white rear and the opposite. You totally have to cherry pick. @ anon 9:04 pm - I bought so much pique and herringbone last year I can't imagine I'll need anything new. Though, I wouldn't mind some textured Skinny Wills. I really grew to love those last year. @Alejandra - I know. The stores were inconsistent on that. @ anon 7:20 pm - good to know. @luluaddict (or anyone who bought the bag), did you find that the bag gets softer with use? I got both the coal & print, and although I love the print, the coal feels softer and looks a tiny bit smaller. The drawstring cinches up more because the material is not as stiff. Does anyone else feel guilty for liking the coal more than the print??? I feel like I have to keep the print after spending so much time and energy trying to get it! 6:29 I have been buying stuff from sweaty Betty as well lately, they just opened a store around the corner from where I work. I really like their yoga pants, the material is really soft and opaque. @M - I am very curious to try Sweaty Betty. I wish they'd open a store here.